We were graced with rain today, buckets full. I was so happy for my garden, I think the tomatoes were smiling when I glanced their way when locking the gate on my way home. 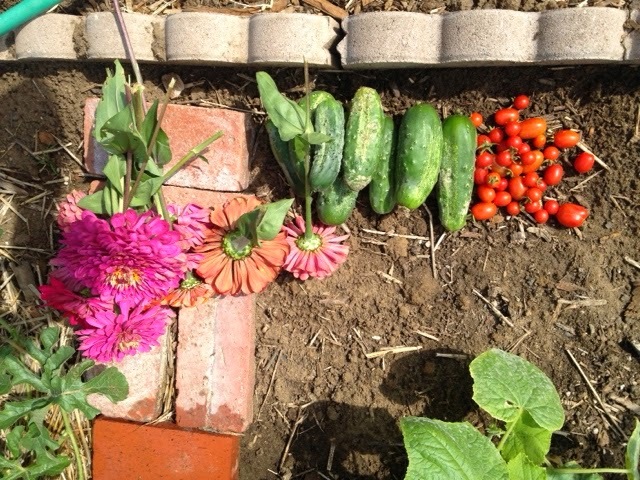 -Cucumbers and tomatoes, with bunches of big green tomatoes waiting their turn to blush. 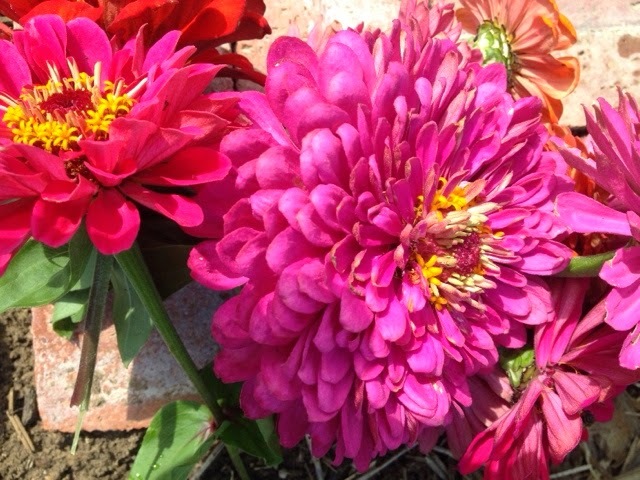 -Zinnias! I love these ladies in my garden. Some are from seed, while others were starts from the nursery. 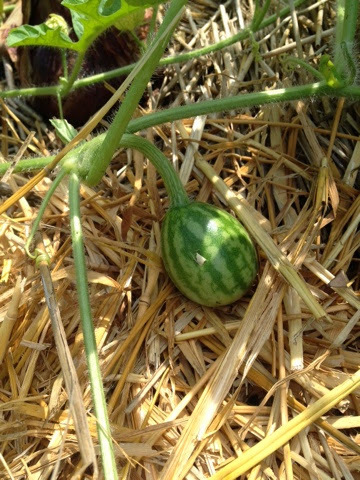 Next year I will use only seed. 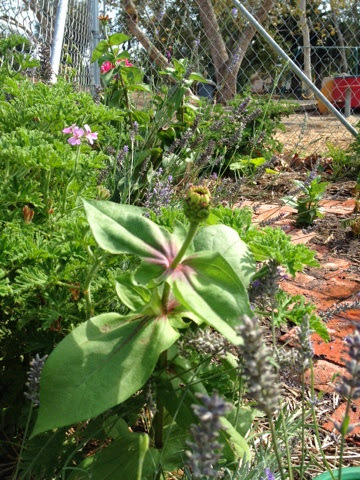 -Herbs and lavender are clean and happy with the rain and humid heat the last week has provided. 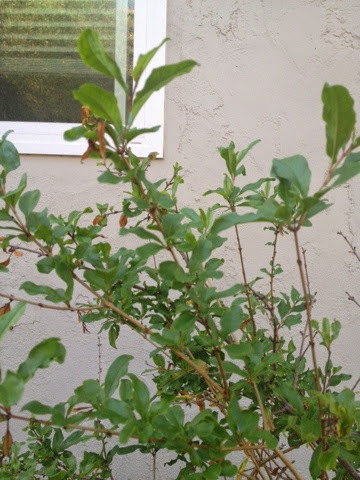 -At home, a rescued pomegranate who had lost all her leaves, is green again! Not too sure if the sun is enough where I planted her, but I think pomegranates were made to make do. Pomegranates do seem to be sturdy. There is a tree in a yard around the corner from me that, along with her friend an avocado tree is sorely neglected, but each year seems to be able to produce fruit. Love the garden pics! I keep thinking about the wonderful Avery painting with the beautiful little blue mote floating across the happy Avery colors.